Chicago might be the birthplace of epic blues musicians, but that doesn't mean your pet has to sing the blues while you're away. 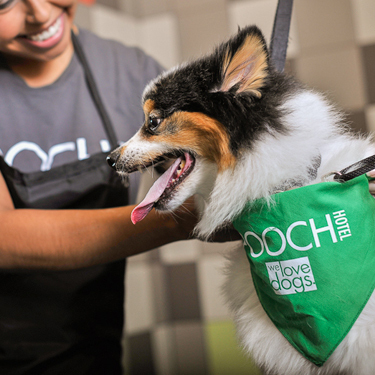 Check out Pooch Hotel dog daycare and dog training schools in Chicago’s Lincoln Park area. Located in Lincoln Park, just a stone’s throw from the Chicago River, Pooch Hotel has some of the best dog daycare in Chicago for busy weekends or work-filled weekdays. 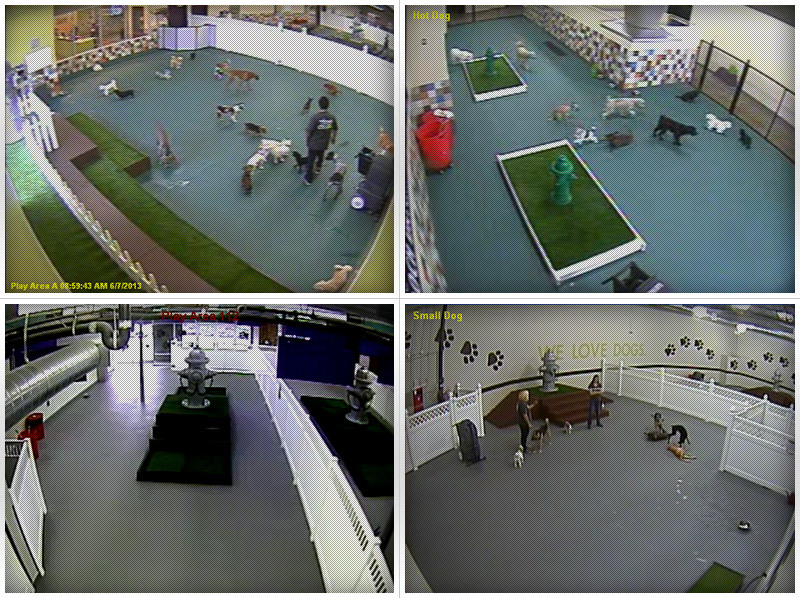 We have lots of spacious play areas, which let our experienced staff group dogs by size and personality. We provide loving and harmonious fun all day long! And the best part? We’ll pick your pet up from your home! 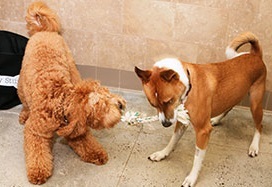 For dogs that do better with more one-on-one attention due to age, health, behavior, personality, etc., we have personal play options as well. Along with daycare, we also have a stylish grooming spa and one of the best dog training schools Chicago has to offer! It’s super convenient to book an appointment or two during daycare! 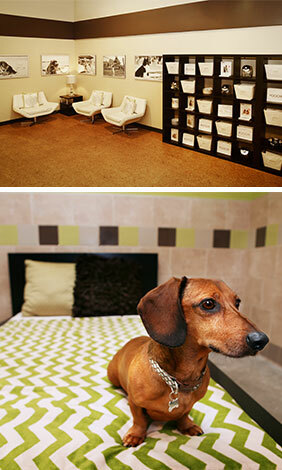 Dog boarding at Pooch Hotel in Chicago is all about making your pet’s stay as comfortable and relaxing as possible. As the very first Pooch Hotel, we’re experts when it comes to dog care and hospitality. We understand that going away can be hard on both you and your dog. That’s why we offer a full range of services, from daycare to impeccable grooming to dog training. Being away from home can give dogs the blues. 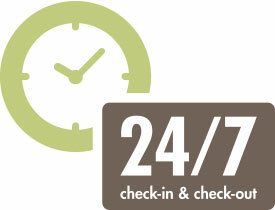 That’s why our facility for dog boarding in Chicago (Lincoln Park) has spacious, custom-built suites for your pet. There’s also comfortable bedding, lots of natural light, and suites that even have posh porcelain tile. Every effort has been made to create a cozy environment for your pet while you’re away. 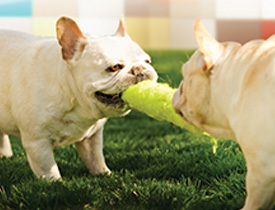 For dogs that prefer more one-on-one attention, we have individual play options as well. Just like a Chicago-style hotdog comes with more toppings than you can shake a bun at, Pooch Hotel has a lot of perks. All-day play is as fun as Dog Day at U.S. Cellular Field and is available for well-mannered and socialized dogs. Plus, we have one of the best dog training schools in Chicago, as well as a grooming salon to meet all your pet’s needs! Whether you’re going out of town for a while, or just need dog daycare in Chicago on the weekends, the staff members at Pooch Hotel are happy to care for your pet! Is your dog ready for Chicago Fashion Fest? Has playing in the park ruffled that lovely fur? Bring your pet in for a refreshing bath and brush-out! We offer a host of grooming services, including simple ear cleanings and pampering pawdicures. Want to get your dog in shape for a stroll down the Magnificent Mile? Give your pet some time on the treadmill to help burn off some extra calories. For dogs that need a little extra love, how about turndown service (dog boarding guests only) or a rubdown? Whatever your pet’s unique needs, we can help! Our partners will work together to make managing your pet’s appointments easy. Book with one of the best groomers and dog training schools in Chicago! 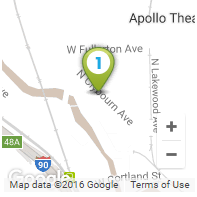 Don’t forget: We offer pick-up and drop-off service for your convenience. We know you want your dog to feel its best and part of that is teaching them how to behave. Sometimes that can be a challenge between work, family, and other responsibilities. That’s where our Positive Dog Training program comes into play. We can bridge the gap between you and your dog to make sure you’re communicating in a language you both can understand in a quick and efficient way. Working with our certified and caring trainers, we create a fun learning environment designed to help you both succeed. We work with puppies and even adult dogs. Give us a call today to learn about our options including one-on-one sessions, group classes, and our ever popular ‘Stay & Train’ program (call for availability), where we work on training basics while your dog is boarding or staying for daycare. Through our three tier ‘Stay & Train’ program, your dog will learn behaviors like sit, fetch, how to not jump up, and be a Canine Good Citizen. Then, at the end of the course, we’ll work with you to show how to keep up with the training at home. Call us today and we’ll help you pick out a program that will work with you and your dog.